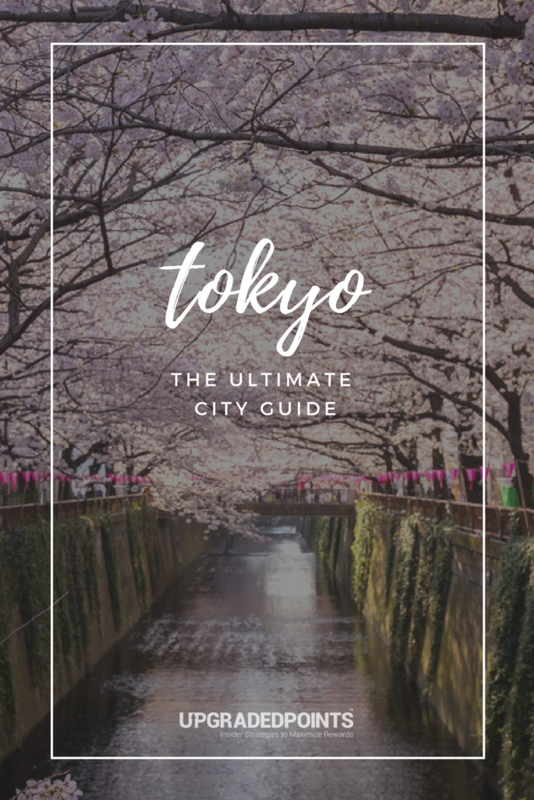 Tokyo is a world unto itself, and it’s an absolute must-see for any travel lover. Soak in the traditional Japanese culture, learn about modern life in the city, and people-watch until your head spins! Tokyo has it all: from hole-in-the-wall gyoza joints to high-end Michelin sushi bars. If you’re going to Tokyo, plan on trying all the amazing food — eating here is half the fun. Food notwithstanding, Tokyo is a crazy and amazing city. You can watch the tuna auction at the Tsukiji fish market in the morning, wander around the Imperial Palace in the afternoon, and sing karaoke with the locals in the evening. This is a modern, fast-paced city that still embraces its traditional roots. Even though the city is large, there’s a sense of cleanliness and order about Tokyo that makes it extremely accessible to visitors, and keeps it consistently rated by Conde Nast as one of the best cities in the world. The history of Tokyo stretches back some 400 years. Originally named Edo, the city started to flourish when the Tokugawa Shogunate was established here. As the center of politics and culture in Japan, Edo grew into a huge city with a population of over 1 million by the mid-eighteenth century. Throughout this time, the Emperor resided in Kyoto, which was the formal capital of the nation. The Edo Period lasted for nearly 260 years until the Meiji Restoration in 1868, when imperial rule was restored. The Emperor then moved to Edo, which was renamed Tokyo and became the capital of Japan. In September 1923, Tokyo was devastated by the Great Kanto Earthquake, which caused fires that burned the city center to the ground. Shortly after the earthquake, Japan’s first subway line was opened. By 1935, the population of Tokyo had grown comparable to those of New York and London. World War II had a large impact on Tokyo. The dual system of prefecture and city was abolished for war-time efficiency, and the 2 were merged to form the Metropolis of Tokyo in 1943 with a governor to oversee. During the final phase of the war, Tokyo was bombed 102 times; many lives were lost. After the war, a time of gradual recovery began for the nation. Due to the introduction of new industries and technologies, this period saw economic prosperity return to Tokyo. In 1964, the Olympic Games were held in Tokyo, the Shinkansen (“Bullet Train”) line began operations, and the Metropolitan Expressway was opened, forming the foundation for Tokyo’s current position. Today, Tokyo has become one of the world’s most active major cities, home to cutting-edge technology, information, culture, and fashion, as well as a high level of public safety. Tokyo has been selected to host its second Olympic Games in 2020. In preparation, the metropolitan government is taking many steps to improve the city’s infrastructure, environment, and the promotion of culture in time for the games…so it’s a perfect time to visit! With more than 38 million people living in greater Tokyo, this city is the largest metropolitan area in the world. Space is limited: the typical size of a hotel room is usually not more than 15 square meters (170 square feet). Emergency Numbers: 110 to report an accident or crime to the police; 119 to report a fire or ask for an ambulance or rescue service. Haneda is closer and more convenient to the city but has fewer international connections. Narita International Airport (NRT) is about 60 kilometers northeast of Tokyo, which is further away than Haneda. However, this is the city’s main international airport, and most international flights to Tokyo will use Narita. It’s likely this is the airport where you will arrive. Once you’ve landed in Narita, you have a few options for getting into the city. The Narita Express runs between Narita and Tokyo Station. Some trains also start/stop at other stations on the JR Yamanote Line, including Shinagawa and Shinjuku. The trip between Narita and Tokyo Station costs around 3,000 JPY and takes 65 minutes. Trains typically leave every 30 minutes. All seats are reserved; you can activate a Japan Rail Pass and/or make reservations at the JR counters at Narita. For more information, visit their website. This is a good option only if you are staying near Ueno. It runs between Narita and Ueno, which is on the JR Yamanote Line. The trip between Narita and Ueno costs 2,470 JPY and takes about 40 minutes. For more information regarding timetables, visit their website. Airport limousine buses run between Haneda and various points in Tokyo. The trip costs 3,100 JPY and takes between 85 and 110 minutes, depending upon the pick-up/drop-off point in Tokyo. At Narita, the boarding point is at the bus stops on ground floor. The main benefit will be a drop-off directly at your hotel. For more information, visit the limousine website. Taxis are not typically a good option considering the time and expense it will take you to get into Tokyo. A regular taxi will cost about 21,000 JPY and take around 65-85 minutes, depending upon destination and traffic. You can also reserve a fixed-fare cab in advance at MK Taxi, but it will still run you about the same price. Hot Tip: Don’t forget to use a card abroad that’ll earn you lots of valuable points – such as the Chase Sapphire Preferred® Card which earns you 2pts per $1 spent on ALL travel and dining purchases. This is our #1 recommended card. But – at the very least you’ll want to make sure you’re using a credit card that has $0 in foreign transaction fees! Tokyo International Airport, commonly known as Haneda Airport (HND), is about 14 kilometers south of central Tokyo, meaning that it’s more convenient to the city than Narita. An increasing number of carriers offer international flights to/from Haneda, and you’ll most likely land here if you’re arriving from other parts of Japan (most domestic flights use Haneda Airport). Once you’ve landed in Haneda, you have a few options on how to get into Tokyo. The Tokyo Monorail runs directly between Haneda and Hamamatsucho, which is on the JR Yamanote Line only 3 stops from Tokyo Station. It costs 490 JPY and takes around 13 minutes on an express train. Note that the Tokyo Monorail cannot be used with a Japan Rail Pass. Please see the Tokyo Monorail website for the schedule. Airport limousine buses run between Haneda and various points in Tokyo. The trip costs 930 JPY and takes between 30 and 60 minutes, depending upon the pick-up/drop-off point in Tokyo. At Haneda, the boarding point is at the bus stops on ground floor. The main benefit will be a drop-off directly at your hotel. For more information, please visit the limousine website. A taxi is also a good option, particularly outside of rush hour or on weekends. A taxi between Haneda and Tokyo will cost around 6,000 JPY and take between 30 and 45 minutes, depending upon destination and traffic conditions. Tokyo is a huge sprawling city, but it’s served by one of the world’s best public transportation systems. Here are all the details you’ll need to get around Tokyo easily. Tokyo’s subways and trains are the best way to get around Tokyo. Stops are frequent, and the vast majority of tourist sites can be accessed via these systems. Rides typically cost a few dollars, but will vary by distance. Here is a map of the stations serviced. Don’t worry about scheduling your trip too much, though — Tokyo’s rail system is typically on time and stops are frequent. Please refer to HyperDia for operating hours. While you can buy individual tickets, the easiest and best way to use Tokyo’s subways and train is with a Pasmo or Suica card. These can be bought at many train/subway stations or convenience stores. You simply swipe the card over the reader when entering and leaving the system. The fare will automatically be deducted from your card, and the machine will show the remaining balance. It’s also easy to top up your balance at the automated kiosks. Note: Avoid riding subways and trains during rush hours (7:30-9:30 am and 5:00-8:00 pm), or be prepared to squeeze in! Tokyo’s taxis are an excellent way to get around the city, especially outside of rush hour or if you have to go somewhere that’s not close to a train or subway station. However, be aware that they’re not cheap: fares start around $4. Tokyo’s buses are extensive and efficient, but they’re not ideal for tourists. If you do use them, note that the same Pasmo or Suica cards can be used for rides. For more information regarding fares and schedules, visit the Toei Bus website. Hot Tip: If you can’t find the place you’re looking for when you get there, look up! Stores can often be located above ground floor. While many people in Japan do speak English, it is always helpful to know a few key phrases before traveling to a different country. You’ll be saying “thank you” a lot, so it’s the perfect place to begin. “Excuse me” is an important expression in any language, and Japanese is no exception. This means “please.” Use this when ordering food, asking for something, or requesting help. “Yes/No.” Pretty self-explanatory! Hai can also signify that you understand something. “Check please!” Very useful at restaurants and cafes. Can be combined with sumimasen to get the waiter’s attention as well. Ikura means “how much.” Ikura desuka is a phrase that can be used even if you don’t know the name of a product in Japanese. Kore means “this;” when combined with a little gesturing toward an item, you’re asking “how much is this?”. A shop owner will typically respond by typing the number in a calculator or writing it down for you. “Thank you for the meal.” This phrase is polite and used after a meal to show your appreciation. Konnichiwa is the both formal and informal way to say “hello.” It can apply to morning, noon, and afternoon. It’s a pretty broad way of greeting someone, so mastering this would be useful. Similar to konninchiwa, konbanwa consists of both the formal and informal ways to say “good evening.” This phrase applies to when the sun goes down and at night time. With these phrases, you’ll be able to navigate many simple interactions in Tokyo! You may also be wondering about understanding the Japanese writing system. The good news is that most restaurants have an English menu, but don’t underestimate the usefulness of sign language and gesturing. In addition, most street signs are also written in English. If you plan on taking a taxi, it is useful to have your hotel concierge write down any places you are going as well. Another tip is to download Google Translate in Japanese, which allows you to access translations offline. Simply open up the camera function and it will translate words over the existing text. This isn’t always reliable since Kanji is often “stylized,” but it’s a good thing to have in a jam. Tokyo is huge, so it’s important to stay somewhere convenient. Without a doubt, the best parts of the city are those near Tokyo Station and in the 2 big urban hubs on the west side: Shinjuku and Shibuya. These are all located near the Yamanote Line, which is the most important form of transport in the city. Here is our guide on picking a neighborhood, along with some quality places to stay in each. Shinjuku is the best place to stay in Tokyo, especially on the west side of the station. This is one of the city’s biggest transport hubs, and it’s on the all-important Yamanote Line. There are several huge department stores, large electronics shops, thousands of restaurants, and Tokyo’s best bookshop: Kinokuniya. Plus, there are plenty of sights nearby. The Tokyo Station/Marunouchi area is not only the city’s main transport hub, but it’s a great place to stay as well. Here, you’ve got the most important train station, including the terminal station of the Shinkansen line (for easy access to other parts of Japan). Within easy walking distance you have all the city’s main department stores in Ginza, Nihombashi, etc. Nearby, you’ve got the Imperial Palace and adjoining parks, and the area is literally awash with restaurants! Shibuya is another huge shopping and transport hub on the west side of the Yamanote Line. It’s pretty similar to Shinjuku: convenient transport connections (including the Yamanote Line), plenty of shops and restaurants, and lots of attractions. It’s just slightly less busy than Shinjuku and a bit more youth-oriented. Roppongi is another great place to stay, but it’s slightly less convenient for travelers as it is not on the Yamanote Line. If you rate great dining, great nightlife, and plenty of attractions highly, then you should strongly consider staying in Roppongi. This is the sexiest and most cosmopolitan part of the city, and it’s where the big money (both Japanese and foreign) eats and drinks. Asakusa is the spiritual heart of Tokyo. It’s home to the city’s most popular Buddhist temple: Senso-ji. It’s also one of the last places in the city where you can feel the vibe of Old Tokyo. Ebisu and Meguro are small urban hubs on the southwest side of the Yamanote Line, and would be a great base for return travelers to Tokyo. These areas are considered the most desirable places to live by Tokyo’s fashionable and wealthy elite. There are a few hotels in these areas that allow you to enjoy the things locals love: great cafes, hip restaurants and bars, boutique shopping, and pleasant strolling on attractive streets. Shinagawa is a major transport hub at the southern end of the Yamanote Line. It’s not the most exciting district, but it’s right on the loop line and the Tokaido Shinkansen line, so it’s quite convenient to stay here (especially if you plan to hop on and off the Shinkansen). There are several excellent hotels here that take advantage of the area’s excellent transport connections. Ginza was Tokyo’s first Western-style shopping district, and it’s still where the old money shops. The wide boulevards and narrow lanes of Ginza are lined with high-end boutiques, nice department stores, and exclusive restaurants. Its location near the Tsukiji Fish Market makes that 5:00 am alarm to see the tuna auction a little easier to bear! A short distance south of Tokyo Station, Shiodome is a tight collection of high-rise office and hotel towers. It’s a short walk from here to Shimbashi Station, which is only 2 stops from Tokyo Station on the Yamanote Line. It’s not too inconvenient a location for transportation, and there are some good places to eat around here. The world’s largest electronics bazaar and center of otaku (geek) culture, Akihabara (“Akiba”) must be seen to be believed! Nearby Kanda is home to temples, shrines, and some good restaurants. There is no shortage of things to do and see in Tokyo. For a first-time visitor, here are some of the highlights. The Tokyo National Museum features one of the largest and best collections of art and archaeological artifacts in Japan, made up of over 110,000 individual items including nearly 100 national treasures. In addition, visiting temporary exhibitions are also held regularly (visit their website for dates). Helpful English information and audio guides are available. ℹ Visit: Hours vary by day; check out their website for specifics. Tickets are 620 JPY for adults, 410 JPY for college students, and free for those 18 and under and 70+. 🚆 Get There: Located at 13-9 Uenokoen, Taitō, Tokyo 110-8712, Japan in Ueno Park. The closest station is Ueno. The Meiji Jingu, or Meiji Shrine, is one of the most important tourist attractions in Tokyo. Surrounded by the forest, this Shinto shrine combines traditional Japanese architecture with a love for nature. This place is a relaxing oasis in busy Tokyo, and traditional weddings can often be seen here. See the Tips and Tricks section below for some important things to keep in mind when visiting a shrine. ℹ Visit: Open sunrise to sunset. Free to enter. 🚆 Get There: Located at 1-1 Yoyogikamizonocho, Shibuya, Tokyo 151-8557, Japan. The closest station is Meiji-jingu-mae or Harajuku. The Imperial Palace is the Emperor of Japan’s primary residence. Far more than just a single palace, the area is a sprawling park occupying a staggering amount of land in the heart of the metropolis. The castle itself is only open on January 2 for the New Year’s Greeting and December 23 for the Emperor’s Birthday. Many of the outer gardens are open and free to the public, allowing you to stroll through green parks. In April, when cherry blossoms are in full bloom, this becomes one of the best spots in the city for photography. Rent a boat to explore the moat! ℹ Visit: Open from 9:00 am – 5:00 pm daily except Mondays and Fridays. 🚆 Get There: Located at 1-1 Chiyoda, Tokyo 100-8111, Japan. The closest station is Takebashi. Harajuku is the center of Japan’s most extreme teenage cultures and fashion styles, but also offers shopping for adults and some historic sights. The focal point of Harajuku’s teenage culture is Takeshita Dori (Takeshita Street) and its side streets, which are lined by many trendy shops, fashion boutiques, used clothing stores, crepe stands, and fast food outlets geared toward trend-conscious teens. This is also an amazing place to people-watch! ℹ Visit: No hours, but try to avoid weekends as it gets too crowded to enjoy. 🚆 Get There: Located at 1 Chome-19 Jingumae, Shibuya, Tokyo, 150-0001, Japan. The closest station is Harajuku. Shinjuku Gyoen (or Garden) is a great place to escape from the craziness of Tokyo to admire and meditate in the beauty of nature. It has many separate themed gardens: French, English, traditional Japanese, and more. It becomes especially striking during the cherry blossom season! Go to their website for details on predicted blooms. ℹ Visit: Admission is 200 JPY. Open 9:00 am – 4:00 pm. Closed Mondays. 🚆 Get There: Located at 11 Naitomachi, Shinjuku, Tokyo 160-0014, Japan. There are 3 gates to enter the park, so the closest station will vary. This recently-opened museum showcases the work of the well-known Japanese artist Yayoi Kusama. Her unmistakable touches include large red polka dots, mirrors in the elevators, and a bulbous mosaic pumpkin sculpture on the top floor. Only 50 visitors are admitted at a time during 4 90-minute slots per day, so make reservations in advance on the website. ℹ Visit: Open Thursday – Saturday from 11:00 am – 5:00 pm. 🚆 Get There: Located at 107 Bentencho, Shinjuku, Tokyo 162-0851, Japan. The closest station is Ushigome-yanagichō. Japan is home to thousands of temples, but the oldest of them all is the Sensoji Temple in Tokyo. During the Second World War, much of the temple was destroyed, but it was rebuilt afterward in the original style. The entrance to the temple is the enormous Thunder Gate with hanging lamps, and it is the base of an annual festival held there each spring. ℹ Visit: Open sunrise to sunset. The temple is free to enter. 🚆 Get There: Located at 2 Chome-3-1 Asakusa, Taitō, Tokyo 111-0032, Japan. The closest station is Asakusa. Giant neon screens above display advertisements in bold colors with flashing lights, and the pedestrian crossing is flooded with people at every change of the stoplight. You might recognize the Shibuya area from films or TV, because it’s the perfect way to convey the population density of this enormous city. Sit in the Starbucks above the crossing for a bird’s eye view. ℹ Visit: You can go there any time, but rush hour will be the craziest. 🚆 Get There: Arrive at Shibuya Station and take Exit 8 toward Hachiko Square. The Tokyo Skytree is a television broadcasting tower and landmark of Tokyo. With a height of 634 meters, it is the tallest structure in Japan and the second tallest in the world at the time of its completion. The highlight of the Tokyo Skytree are its 2 enclosed observation decks, which offer spectacular views out over Tokyo from 350 and 450 meters up. ℹ Visit: Open from 8:00 am – 10:00 pm daily. The entrance fee is 2,060 JPY for the first observatory, an additional 1,030 JPY for the second observatory, and 510 yen for reservations in advance. 🚆 Get There: Located at 1 Chome-1-2 Oshiage, Sumida, Tokyo 131-0045, Japan. The closest stations are Tokyo Skytree and Oshiage. An ultra-modern area for residents and businesses alike, the Odaiba district is your go-to place for pleasure cruising, shopping, and general seaside fun. The man-made island built in Tokyo Bay was originally created by the Edo shogunate to protect Tokyo from the threat of marine attacks, but today it serves as an entertainment hub for the entire family. Make sure you go in the evening to see the Rainbow Bridge light up at night! ℹ Visit: Always open to walk around and explore. There are activities you can do there that will cost extra. 🚆 Get There: You can reach Odaiba on the Yurikamome Line at the stations of Odaiba-Kaihinkoen, Daiba, Fune-no-Kagakukan, Telecom Center, and Aomi. You can also ride a water bus to the area from the Rinkai Line’s Tokyo Teleport Station. If you want unique and quirky, there isn’t a city that can better deliver! There are as many unusual things to do in Tokyo as there are lists of them, and whether you’re visiting for the first time or the tenth, there’s always something new to try. Here are a few ideas to get you started. The Sakurai Tea Experience at Souen is a great introduction to green tea ceremonies. Book a session at this beautiful spot and sit back as the master whisks up bitter powdered matcha, steeps delicate sencha leaf tea, or brews aromatic roasted hojicha. If you’re feeling a bit adventurous, go for the green tea infused liquor tasting with 4 tastings and wagashi (small bites). Selections include rum permeated with hojicha and sencha-infused gin. Go with a friend and try 8 varieties! Open Monday – Friday from 11:00 am – 11:00 pm, Saturday and Sunday from 11:00 am – 8:00 pm. Check out their website for more information. ℹ Visit: Located at Spiral Building 5th Floor, 5-6-23 Minami-Aoyama, Minato-ku, Tokyo. Closest Station is Omotesando. Put the hours you spent playing video games to practical use on the streets of Tokyo with this cosplay go-kart experience. You’ll be set up with costumes, carts, and given a guided tour of the city. Tourists and locals alike will take pictures of you as you zoom through the streets of Tokyo! Be warned: you do still have to observe the rules of the road and must have an international driving license! ℹ Visit: They operate out of multiple offices, so pick the location that offers the tour you’re most interested in. Prices run anywhere from 9,000-10,000 JPY, but check their website for tour times and specific prices. Located in Shinjuku’s red light district, the Robot Restaurant is a surreal journey into the weird side of Japanese culture. Lasting for 2 hours, this show involves lots of flashing lights, dancing, singing, and (importantly) robots. After a pre-show drumming performance, head to the main hall for a truly unique experience. I know it’s called a restaurant, but trust me: don’t eat here. ℹ Visit: Tickets are 8,000 JPY. The show runs multiple times each day, so visit their website for times. I’m sure you’ve heard of cat cafes, but Tokyo has plenty of other options for getting your animal fix as well. These cafes became popular because the small living quarters in Japan make it difficult to keep pets in the home. Temporary companions range from rabbits to lizards to hedgehogs and beyond. Depending on your preference, this can be a great way to take a break, grab a drink, and still do something unusual! I’d encourage you to do your research, as some cafes have come under fire for their treatment of the animals. TimeOut has a particularly good list of cafes to consider. You typically pay about $10/hour to spend time with the animals, and drinks and snacks will obviously add to the tab. ℹ Visit: The Akihabara, Ikebukuro, and Kichijoji neighborhoods all have high volumes of cafes, but they can be found throughout Tokyo. Golden Gai is an area in Shinjuku made up of 6 alleys tightly packed with independent bars. It’s a great place to grab a drink (or 2) and time travel to an older Tokyo. Half the experience is wandering through and picking a bar that appeals to you. Each small entrance is completely individual, with themes varying from hospitals to toy trolls. Some are covered in stickers, some are pristine and painted, and others are aged and battered. Some bars do have signs saying “no foreigners,” “no tourists,” or “regulars only.” There are well over 200 bars to choose from, so don’t let that deter you from visiting the area. With many of the buildings housing more than 1 bar, each steep staircase can lead to a completely different experience. ℹ Visit: Located at Japan, 〒160-0021 Tokyo, Shinjuku, Kabukicho, １丁目. The closest station is Shinjuku. This museum showcases the work of Studio Ghibli, the Japanese animation studio co-founded by Hayao Miyazaki that produced unforgettable movies like Spirited Away and My Neighbor Totoro. There are a series of rooms with motifs from every single piece of animation produced by Studio Ghibli. All told, you’ll find a children’s museum, a technology museum, and a fine arts museum inside this venue dedicated to the art and technique of animation. ℹ Visit: Access is strictly limited to 200 admissions per day for overseas visitors. Tickets must be purchased in advance; they cost 1,000 JPY for adults and are free for those 4 and under. Please see their website for tickets and pricing. Here is your chance to get up close and personal with some uniquely Japanese athletes. Sumo wrestling is a big thing in Japan, but competitions are rare and it can be difficult to get tickets. Instead, watch morning practice in their sumo stable (or beya). There are a few rules to follow should you want to be a fly on the wall: no chatting, no flash photography, no food or drinks inside the stable, and don’t move around once practice has started. ℹ Visit: Morning practices start at 5:00 am and usually last 3-4 hours. Most sumo stables are based in the Ryogoku neighborhood. There are 3 that are free and allow visitors: Kasugano Beya, Hakkaku Beya, and Kokonoe Beya. If you’re looking for a cheap yet comfortable place to stay in Tokyo, capsule hotels are abundant and can be found almost anywhere around the city. If you’re not familiar with the concept, a capsule hotel provides a small, person-shaped capsule to sleep in, which is decked out with more amenities than you’d probably expect. Weird and practical — you can’t go wrong checking one of these out. ℹ Visit: There are hotels located all over Tokyo, but the capsules are clustered around the main train stations. No place has embraced the vending machine concept quite like Japan. You can find vending machines all over the country (city or countryside), each packed with both expected and unexpected items. From dirty underwear, work shirts, and electronics to hamburgers and fried chicken, there’s not much you can’t find in a vending machine in Japan. ℹ Visit: Any street corner! The more unique machines are found in the Akihabara neighborhood. Living in one of the most volcanically active countries in the world can have its perks, including an abundance of natural hot springs, or onsen. Onsen are the perfect way to relax after a long day of work or sightseeing. You can take a day trip to a hot springs resort (covered below), or you can visit one of the many onsen within Tokyo. A good option is Ooedo-Onsen-Monogatari in Odaiba. This is tourist-friendly place where you can choose what type of experience you want and the length of your visit. If you want a traditional experience, there are other places to choose from, but this is a great introduction into Japanese onsen culture and etiquette. They are open from 11:00 am – 9:00 pm daily. ℹ Visit: Located at 2 Chome-6-3 Aomi, Koto, Tokyo 135-0064, Japan. The closest station is Telecom Center. Tokyo is a massive metropolis that doesn’t have just 1 single iconic skyline — it has many. Here some great places to start! You might call it the Tokyo Metropolitan Government Building, but locals refer to it simply as Tochō. It offers an observation platform where you can admire the sprawling district of Shinjuku below you. On a clear day, you might even catch a glimpse of Mount Fuji to the west. ℹ Visit: Access is free. Although it is only the second largest building in Japan, many prefer seeing the views of Tokyo from Tokyo Tower. This is because it’s become a representative icon of Tokyo, the same way the Eiffel Tower is to Paris. The tower measures 332.9 meters in height, and the observatory is located 150 meters up. There is also a special observatory at 250 meters if you really want to catch a glimpse of Tokyo’s rooftops. ℹ Visit: The fee is 900 JPY for the main observatory and another 700 JPY if you wish to go up to the special observatory. Tokyo City View is the observation deck in Roppongi Hills, adjacent to the Mori Art Museum. It offers impressive 360-degree views of Tokyo and is open from 10:00 am to 11:00 pm (1:00 am on weekends). The outdoor Sky Deck closes at 8:00 pm, and could close unexpectedly depending on the weather as well. ℹ Visit: 1,800 JPY for observatory access; additional 500 JPY for Sky Deck access. The Sky Lounge Stellar Garden at the Prince Park Tower Hotel in downtown Tokyo offers panoramic views of Minato ward. At just 33 floors up, this sky bar can’t compete with the nearby skyscrapers in terms of height, but it has a unique vantage point and a different perspective on the city. ℹ Visit: The Prince Park Tower Hotel lies in Shiba Park and is free to enter. Thanks to its central location and vantage point on the hotel’s 40th floor, Bellovisto offers one of the best views of the city you can get. On a clear day, you may even be able to see Mount Fuji in the distance. Great for both daytime and nighttime vistas. ℹ Visit: Bellovisto is the hotel bar of the Cerulean Tower Tokyu Hotel in Shibuya. The Sky Circus has found a way to compete with all the other observatories in Tokyo: it offers virtual reality experiences, and the use of modern art installation techniques offers new ways to experience being up high. However, it’s still an observatory at heart, and the views here are nothing short of spectacular. Admission is 1,200 JPY for adults, 900 JPY for students, and 600 JPY for kids. ℹ Visit: The Sky Circus sits in the Sunshine City mall/business park and is open from 10:00 am to 8:50 pm. This is the highest bar in Tokyo at 52 stories up. There are enormous panoramic windows and a view that makes Tokyo Bay and the nearby skyscrapers look fantastic! Rooftop Bar offers photographers a truly unique chance to capture the city, and it’s definitely worth the trip. Reservations can be made on their website. ℹ Visit: Located in the Andaz Hotel. New York Bar is housed on the 52nd floor of the Park Hyatt Tokyo and is well-known to anyone who has seen “Lost in Translation.” Arrive around 5:00 pm and you won’t have to pay a cover charge. If you’re lucky, they’ll seat you at one of the tables next to the windows! From here, the views of Tokyo at dusk are incredible. ℹ Visit: Unless you are a hotel guest, a cover charge of 2,400 JPY applies from 8:00 pm on Monday to Saturday, and from 7:00 pm on Sunday nights. A dress code also applies at all times. You can witness a sunset view of Rainbow Bridge and downtown Tokyo from near the Statue of Liberty replica on the man-made island of Odaiba. It’s one of the most panoramic views you can get of Tokyo. You can’t actually swim at this beach, but don’t let that stop you from enjoying the view! ℹ Visit: Take a monorail from Yamanote Shinbashi Station in Odaiba. This is a commercial facility built on the site of the old Tokyo Central Post Office. The garden on the rooftop of the 6-floor building is open to the public with no admission fees, so anyone can come and enjoy the night view. It’s a great spot to see the lit-up Tokyo Station Building and the trains as they pass through Tokyo Station. ℹ Visit: The building is open until 11:00 pm on weekdays and 10:00 pm on weekends, but the Tokyo Station Building is only lit up until 9:00 pm…so be careful you don’t miss it. There are restaurants and cafes on every single corner on Tokyo, so these recommendations are barely scratching the surface. In addition, with all of the Michelin-rated options, a food tour of Tokyo can get pretty expensive! Here are a couple more inexpensive options that will help you experience the food culture of Tokyo without breaking the bank. You can’t miss Piss Alley while you’re in town (also known as Memory Lane, for the less crude). Once the traditional “relief” spot for drunken partiers in the area, today the alley has cleaned up its act, playing host to a great selection of yakitori joints and tiny bars. You really can’t go wrong with any choice, but always take a look at where the locals are eating for a sure thing! Head down here in the evening for some amazing food and a taste of “old Japan.” Expect to pay about $20/person for a couple rows of skewers and a beer. ℹ Visit: Go in the evenings to sit side-by-side with the salarymen of Tokyo. 🚆 Get There: The closest subway station is Shinjuku, taking exit B16. The street is directly north of the station. Soba is the traditional noodle in Tokyo, and nowhere is that heritage preserved better than at Kanda Matsuya. Founded 130 years ago and housed in superb wooden premises, it’s a living legend. It’s all about the noodles here, which are rolled and cut by hand in-house by the master’s son. They do have an English menu, so be sure to ask for it when you arrive. The zarusoba and gomasoba are both must-haves! ℹ Visit: Opening hours are Monday – Friday 11:00 am – 8:00 pm, Saturday 11:00 am – 7:00 pm. Closed Sundays. 🚆 Get There: Located at 1 Chome-13 Kanda Sudacho, Chiyoda, Tokyo 101-0041, Japan. The closest stations are Ogawamachi on the Shinjuku Line and Awajicho on the Marunouchi Line. Among the shops and restaurants in the labyrinths beneath Tokyo Station, there is one special corner dedicated to ramen: Tokyo Ramen Street. Ramen Street is home to 8 of the best ramen shops in all of Tokyo! The location is very convenient for travelers, but unfortunately this also means there will be queues at whichever restaurant you choose. There are now a good mix of options, from traditional types to some more contemporary styles too. Whether you’re new to ramen or a connoisseur, there will be something new and exciting to try. When ordering, most places have pictures of the ramen on their vending machines, so you can go by photo or compare with an English menu if available. Some even have “#1” or “most popular” labels, so you can always opt for that! Melon Pan is the perfect snack after wandering around Senso-ji Temple, and Kagestsudo has perfected it. There are 4 locations around Asakusa, but the convenience of the Kaminarimon store makes this location the best. For about $2, you can experience both the crispy exterior (with crystallized sugar) and the fluffy interior that is Melon Pan. ℹ Visit: Opening hours are Monday – Sunday 9:00 am – 5:00 pm. Melon Pan often sell out though, so go early! 🚆 Get There: Located in Kaminarimon Yanagikoji, aka “Souvenir Alley.” The closet station is Asakusa Station on the Ginza Line, Exit 1. Okonomiyaki is a cabbage-based pancake, fried on a hot griddle, and smothered in sauce — it literally translates to “grill what you like.” There are many combinations and styles; at Sakuratei in Harajuku, you can try making your own! After it’s grilled, finish off the okonomiyaki with seaweed, mayonnaise, and Bonita flakes found at the table. 🚆 Get There: Located at 3 Chome-20-1 Jingumae Shibuya, Tokyo 150-0001, Japan. The closest station is Meiji-Jingumae Station, serviced by the Chiyoda and Fukutoshin lines. A perfect meal after walking around Takeshita-dori, Harajuku Gyozaro is a no-frills shop. There are just 2 styles of gyoza dumplings available: fried or steamed, at 290 JPY for 6 of them (that’s less than $3!). Most diners sit around the rectangular-shaped counter with the “kitchen” in the middle, where cooks prepare the dumplings in clock-work fashion: fry, steam, pan-fried, scoop, serve. But the word is out…get there early or be prepared to wait! Cash only. 🚆 Get There: Located at 6−2−4 Jingumae, Shibuya, Tokyo. The closest station is Meiji-Jingumae Station, serviced by the Chiyoda and Fukutoshin lines. Tonkatsu is a thick pork fillet covered in flour, egg, and panko breadcrumbs, then deep fried — and Marugo has some of the best in Tokyo. This tonkatsu is carefully fried to bring out the flavor, sweetness, and juiciness. The crispiness of the panko and the aroma of the oil come together to make an exquisite dish. You can eat it in whatever style you wish: use the shop’s original sauce, salt, grated daikon radish, and/or wasabi soy sauce that are all available. Marugo has a line no matter what time of day, so be prepared to wait. There are English menus available. The tonkatsu set meal costs around 2,100 JPY, and it’s cash only. ℹ Visit: Lunch from 11:30 am – 3:00 pm, dinner from 5:00 pm to 9:00 pm. Closed on Mondays, as well as the first and third Tuesday. 🚆 Get There: Located at 1 Chome-8-14 Sotokanda, Chiyoda, Tokyo 101-0021, Japan. The closest station is Akihabara. Nestled in the Marunouchi district not far from the Imperial Palace, Fukamachi offers tantalizing Tokyo tempura in a refined ambiance. All of the fresh ingredients are delicately fried one by one so customers can enjoy the authentic taste of tempura. One of their specialties is “uni” or “sea urchin” fried inside “oba” (shiso) leaves. There are multiple set menus to choose from for both lunch and dinner. Fukamachi has been awarded 1 star by Michelin Guide Tokyo for continuous years, so make reservations! This can be done by contacting your concierge in Tokyo or paying for a service like Voyagin. ℹ Visit: Open Tuesday to Sunday from 11:30 am – 1:30 pm and 5:00 pm – 8:30 pm. Closed on Mondays and the first and third Sunday of every month. 🚆 Get There: Located at 2-5-2, Kyobashi, Chuo-ku Tokyo, Sub Jude Glin Kyobashi Shinohara Building 1F. The closest station is Kyobashi, on the Ginza Line. Saryo Tsujiri is a sweets cafe located near Tokyo Station. They have a variety of selections in their menu, including mochi, red bean and mochi soup, matcha mousse, and combo menus with matcha desserts and pure matcha. But their main focus is the matcha parfaits, with more than 10 different types available to order. The parfait includes matcha ice cream, matcha jelly, matcha mousse, mochi, and many other toppings depending on which one you order. They also have seasonal parfaits using sakura and strawberries during spring. ℹ Visit: Open Saturday – Wednesday from 10:00 am – 8:00 pm, and Thursday – Friday from 10:00 am – 9:00 pm. 🚆 Get There: It is located inside the Daimaru Tokyo Department Store, which is a 4-minute walk from Tokyo Station. This isn’t your typical convenience store fare! The corner stores (konbini) in Tokyo have a lot of really delicious meals for 120-370 JPY that make for a cheap lunch or late night snack. Be sure to try some of the hot selections, as well as the freshly-made dessert options. It’s completely possible to piece together a great meal for less than $10! ℹ Visit: Opening hours vary, but many konbini are open 24/7. Popular chains include 7-Eleven, Lawson, and Family Mart. 🚆 Get There: On every street corner — seriously. Once a source of much complaining among foreign residents and visitors alike, Tokyo’s coffee scene has undergone nothing short of a revolution in this decade. The capital is now one of the world’s great coffee cities, with more specialty shops than most people can hope to visit in a lifetime. Here are a few great options for getting caffeinated! No matter the day or time, Cafe de l’Ambre will be packed. The interior looks like it was last remodeled in the early 1980s, although some of the equipment is clearly much older. And it has been around a long time — it’s a Ginza institution. Take your pick between a lone blend coffee and 30-ish single origin varieties, including a good number of aged coffees. There is an English menu, so you have no excuse not to try something a little odd, including an 18-year-old Brazilian Bourbon cup. ℹ Visit: Open Monday to Saturday from 12:00 pm – 10:00 pm, and Sunday from 12:00 pm – 7:00 pm. 🚆 Get There: Located at 8 Chome-10-15 Ginza, Chūō, Tokyo 104-0061, Japan. The closest station is Shinbashi. You might need a pick me up after wandering around Yoyogi Park, and Little Nap Coffee Stand is a perfect solution! The space is quite small; even if it weren’t packed with turntables, it would be difficult to fit more than 5. Coffee shops are always great places to get a feel for the local community, and Little Nap is no exception. Check out their website for more information. ℹ Visit: Open Tuesday to Sunday from 9:00 am to 7:00 pm, closed Mondays. 🚆 Get There: Located at 5-65-4 Yoyogi, Shibuya, Tokyo 151-0053, Japan. The closest stations are Yoyogi-Hachiman or Yoyogi-Gyoen. Davide Coffee is located between Ueno and Asakusa. Davide’s espresso blend is a rich, slightly acidic mixture, and the milk is well frothed. They also serve affogato for those looking for a sugar fix with their caffeine. Davide serves light meals in the afternoon and seems to be more of an “after-work hangout” than a coffee bar — you might even have the place to yourself if you go earlier in the day. The ground floor has a bright orange wall and exudes a busy atmosphere, while the smaller space upstairs is more relaxing. There’s also a basement, which is open for the occasional pop-up shop, exhibition, or other event. Check out their website for more details. ℹ Visit: Open Tuesday – Saturday from 11:00 am – 10:00 pm, and Sundays from 11:00 am – 7:00 pm. Closed Mondays. 🚆 Get There: Located at 2 Chome-3-1 Iriya, Taitō-ku, Tōkyō-to 110-0013, Japan. The closest station is Iriya. Turret Coffee is a godsend for anyone making an early visit to Tsukiji Market. Located in the outer-market, it’s a great place to caffeinate before you wait for hours in a sushi line! They’re known for their latte art, but also serve espresso in antique sake cups. Turret Coffee has about 5 counter seats and 2 very small tables with chairs. ℹ Visit: Open Monday to Saturday from 7:00 am – 6:00 pm, and Sundays from 12:00 pm – 6:00 pm. 🚆 Get There: Located just near the Hibiya Station exit 1 or 2. Just behind Omotesando Station in Aoyama, a small coffee shop in Commune 246 serves small batch drip coffee from Tochigi Prefecture. There is a shaded outdoor patio and a handful of seats inside as well. Shozo Cafe only serves hand drip, and make sure you try their iced coffee. There are syrups to add, but you probably won’t need them! ℹ Visit: Open Monday to Friday from 9:30 am – 6:00 pm, and Saturday to Sunday from 11:30 am – 6:00 pm. 🚆 Get There: Located at 3丁目-13 Minamiaoyama, 港区 Tokyo 107-0062, Japan. The closest station is Omotesando. Tokyo shopping has it all: high-end fashion, traditional crafts, vintage clothes and housewares, all manner of souvenirs, and that gadget you didn’t know existed but now desperately need. Whether you prefer department-store browsing or rummaging for secondhand treasures, there’s a Tokyo neighborhood or street to meet your shopping needs. One of Tokyo’s must-see locations, Tsukiji Market — the biggest fish market in the world — is where the weird and wonderful bounty of the sea is put on sale each morning. Get up early for the daily 5:00 am tuna auctions, or head down a little later and simply browse the vast market. Also, don’t pass up the opportunity to eat some of the freshest sushi you’re ever likely to have. If you’re trying to eat at the famous sushi restaurants in the outer market, try to arrive before 7:30 am, or you might not get in! Ginza is the affluent shopping district in Tokyo, home to the city’s posh boutiques and gleaming department stores such as the classic Mitsukoshi and Dover Street Market Ginza. There’s also the gleaming new high-fashion mall, Ginza Six. But tucked in between some of the more imposing facades are simpler pleasures, like the fine crafts at Takumi, the gourmet food items at Akoymeya, and the 9 floors of stationery and art supplies at Itoya. Shopping options in this neighborhood reflect the breadth and depth of Tokyo’s consumer culture, which is equal parts high-fashion glitz and down-to-earth dedication to craft. It’s especially fun to visit at night, when the gleaming storefronts come to life. ℹ Visit: This is a large shopping area best accessed via Ginza Station, Ginza-itchome Station, or Higashi-Ginza Station depending on your specific destination. The neighbourhood of Harajuku is home to the famed Harajuku girls (and boys) along with the shopping strip Takeshita-dori. Takeshita-dori runs through Harajuku Station and Meiji-dori, and is a crossroads for street-style cultures. Down this pedestrian-only street, you will find shops specializing in unique styles, such as punk or costumes. Though the market may be more crowded on the weekends, it’s worth visiting for the people-watching. And then there is Ura-Hara, the maze of backstreets behind Omote-sandō, where you’ll find eccentric little shops and secondhand stores. After Gwen Stefani made Harajuku a household name, it only makes sense to check out the birthplace of this street style. From 1688 to 1735, special permission was granted for people to open shops in the surroundings of the temple in service to visitors. Today, Nakamise Shopping Street has around 90 shops that sell various kinds of Japanese souvenirs, some dating back to the Edo era. Look out for some good bargains on clothes and shoes. You can also buy traditional snacks and dishes that are popular during festivals. Shops are typically open from 10:00 am – 5:00 pm. Shibuya is the fountain of teen trendiness in Japan. If you’re over 30 you might feel way too old here, but just cruise and amuse yourself in the madness. Music shops and cheap, outrageous apparel are everywhere, as are the hip kids who come to primp and pose. Check out the youth-focused fashion at Shibuya 109 or new designers at Fake Tokyo, and don’t miss browsing the floors of homewares, gadgets, and accessories at Tokyu Hands. Another can’t-miss is the mega Don Quixote store in Shibuya. You can pick up all your souvenirs here, from Japanese knives to every variety of Kit-Kats. Don’t forget to bring your passport to get your tax refund! ℹ Visit: To get to Shibuya crossing (a good place to start), head to Shibuya Station and take Exit 8 towards Hachiko Square. The neighborhood of Akihabara is Tokyo’s traditional hub for electronics, and these can still be found in the Akihabara Electric Town district and stores such as Akihabara Radio Center. But the neighborhood has also become increasingly known as a center for otaku (geeks) with shops dedicated to anime, manga, and J-Pop culture. Among the stores catering to this crowd is the huge Mandarake Complex. There are also arcades to check out, such as Taito Station. Head to the upper floors where you’ll find some amazing Japanese video game players displaying their skills. While walking around the area, you can’t miss girls dressed up as maids passing out flyers to one of many Maid Cafes; check them out if that’s your thing. ℹ Visit: This is a large shopping area best accessed via Akihabara Station. On the fourth Sunday of each month, the people of Tokyo (and visitors from all over the world) are anxious to see what goodies are available at Nogi Shrine market. Held on the sandō road of Nogizaka’s Nogi Shrine, more than 40 shops are set up selling furniture, secondhand clothes, cooking utensils, and other antiques. Get incredible bargains on just about anything. There are also some food stalls selling snacks and other delectable treats just in case you get hungry. Open from 9:00 am – 4:00 pm. Check out their website for more information. Omotesando is a street in Harajuku lined with high-end stores that target fashionable Tokyoites. Ask anyone for Tokyo’s Champs-Elysees, which is the nickname for the broad, tree-lined avenue located south of Takeshita-dōri where you will find Omotesando. Although this isn’t a typical market, in this bustling shopping area you’ll find some items you couldn’t in Tokyo’s other markets. Many famous international stores offering the very best in shopping and dining experiences have been established here. A wealthy clientele can be seen browsing the famous shops, cafés, boutiques, and restaurants, and it’s a fun experience (even if only to window-shop). Open Monday – Saturday 10:00 am – 9:00 pm, and Sundays from 10:00 am – 8:00 pm. Visit their website for more details. Heiwajima Antique Fair is a 3-day event held 5 times a year in the months of March, May, June, September, and December. Heiwajima Antique Fair was established in 1978, making it the oldest antique fair in Japan. It attracts over 280 dealers from all over the country. Since most homes in Japan do not have a garage, the citizens look forward to these events to sell and purchase items. You will find products like pottery, furniture, textiles, jewelry, paintings, glass, lacquer, and other items. Try going on the final day where you will get the best deals. They have an English website that contains dates and times of future fairs, so if you’re in Tokyo during one, make sure to check it out! Dating back to some 430 years, Boro-Ichi Street Market is the place to shop if you’re looking for antique kimonos, toys, and clocks, as well as a variety of other items. A trip to this market is not just ideal for shopping — you will also be taking part in a dynamic folk-cultural activity. In its early beginnings in the 1570s, the market was established as a “free market” where taxes were removed to boost the economy. Now it has grown into a biannual 2-day event set on December 15-16 and January 15-16 attracting over 700 sellers. Make sure to go if you’re in Tokyo during the winter! This pass is only cost-effective if you plan to explore outside of Tokyo, but it can also be used for free travel on the JR lines within Tokyo. It can only be purchased outside of the country, so make sure you do this before you arrive in Japan! There are many 100 Yen shops in Japan where you can grab set meals, groceries, water, toiletries, and household items. This is where you want to buy anything you need to eat and shop on a budget! Plugs are flat 2-pinned, so don’t worry about bringing a plug adapter if you’re traveling from the U.S. Many smaller shops don’t accept cards, so it’s good to have cash on you. 7-Eleven is always a sure spot to find an ATM. Public garbage cans are incredibly rare. Japanese women stash a baggie in their handbag to hold onto garbage until they get home. Tokyo is one of the best shopping destinations in the world. Tourists can take advantage of tax-free shopping, which is available to foreign tourists at licensed stores when making purchases of over 5,000 yen. A passport is required when shopping tax-free. These are religious sites, so there are some important things to remember. Behave calmly and respectfully. At the purification fountain near the shrine’s entrance, take one of the ladles provided, fill it with fresh water, and rinse both hands. Then transfer some water into your cupped hand, rinse your mouth, and spit the water beside the fountain. At the offering hall, throw a coin into the offering box, bow deeply twice, clap your hands twice, bow deeply once more, and pray for a few seconds. In Japan you will find that trains will actually leave at the time they are scheduled to! In other words, don’t think you can be even 1 minute late — you’ll miss your train. Japanese people think breakfast is an important meal, so hotels (regardless of the budget) do their best to serve up a delicious breakfast. Even a cheap hotel will offer a good solid breakfast to start your day, and a more expensive hotel will have a more extravagant breakfast. Take advantage! If you have leftover money on your subway card, remember that many vending machines and convenience stores will also accept these cards. Tokyo was selected as the host city for the 2020 Olympics. Tokyo train stations each have their own unique theme song. 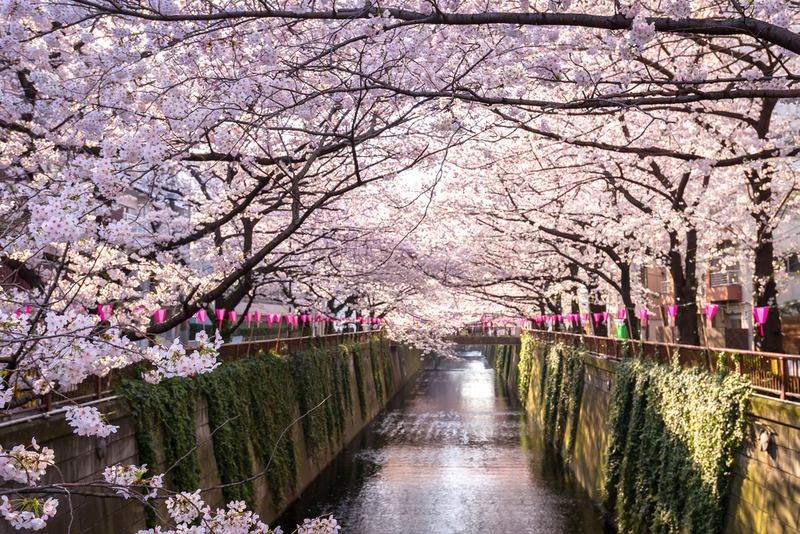 As the annual Cherry Blossom Festival nears, television and radio reports include information on the “cherry blossom front,” or the forecast of the cherry blossoms across the different regions of Japan. Oshiya, or “pushers,” are employed in some of Tokyo’s railway stations. These station attendants literally push people onto crowded trains during rush hour. Tokyo Disneyland was Disney’s first park outside the U.S. The resort employs over 20,000 people. Tokyo has more neon signs than anywhere else in the world. A trademark image in Tokyo is entire streets full of neon lights! Godzilla has attacked and destroyed Tokyo no less than 28 times. Every day at Tsukiji Fish Market, 5 million pounds of seafood (worth roughly $28 million USD) are sold. One of the most unique Disney sites in the world, Tokyo Disneyland and DisneySea are markedly different from the other Disney theme parks dotted across the world. Aside from just enjoying all the usual rides and Disney stuff, you can visit the only DisneySea in the world here, try the variety of popcorn flavors, and enjoy all the matching costumes of the park guests. These 2 parks are the only ones in the world not wholly owned by Disney (although they do have creative control), so it is a great chance to see the Japanese twist on the classics. Around 2 hours north of Tokyo on the Tobu Nikko line lies the ancient forest and town of Nikko, whose 103 religious structures form a UNESCO World Heritage Site. At the Tosho-gu shrine, halls commissioned by the Tokugawa family (the family that ruled Edo Japan until the Meiji Restoration) are sure to awe. If it isn’t too crowded, you can really lose yourself in the history of feudal Japan among the towering cedars and ancient shrines. Other attractions include the Shin-kyo Bridge and the Kanman-ga-Fuchi Abyss, a wooded path protected by statues. While not exactly around the corner, thanks to Japan’s excellent rail system it’s entirely possible to visit Kamakura in just 1 day from Tokyo. The city is famous for its extremely high concentration of Zen, Buddhist, and Shinto temples, thanks to its rich history and former title as the nation’s capital. Kamakura has its own mini rail system to take visitors to all the different temples and down to the sea, so getting around is a breeze. Besides the required visit to the Daibutsu or Giant Buddha, you won’t want to miss seeing Tsurugaoka Hachiman-gu for its sprawling grounds, and Jomyo-ji for its garden and traditional teahouse. Nestled in the shadow of Mount Fuji, Hakone is a one-stop destination for a side of Japan you won’t get in Tokyo: spectacular rolling mountain ranges, hot springs, slightly-unnerving ropeway rides, and cruises in faux-18th-century pirate ships? All of these things can be packed into 1 solid day. Even better, if it’s a clear day, you’ll get excellent views of Fuji-san. Daytime admission for the area’s many onsen starts at 1,900 JPY. Be sure to track down a black egg cooked in one of the bubbling sulfur springs — legends say that 1 egg extends your life by 7 years. Another popular day trip from Tokyo is Mount Takao. It takes less than an hour to get to Takaosanguchi Station on the Keio line. Visitors can enjoy a nature hike on one of the many trails that ascend the mountain, and if you’re not feeling particularly adventurous there’s a cable car that carries passengers part of the way up. The ancient Yakuo-in, a Buddhist temple established in 744, is one of Takao-san’s must-sees. Be sure to try a tenguyaki, which is a taiyaki with the face of Tengu: the long-nosed goblin, god of mischief, and patron saint of martial arts who roams around Mount Takao. Although Japan is generally known for being one of the safest countries in the world, visitors should always stay alert. The general crime rate in Japan is well below the U.S. national average, and Tokyo, like all of Japan, is generally a safe place for visitors. Still, as in other big cities around the world, visitors to Tokyo sometimes become victims of crime, and it’s important to exercise caution. While violent crime is rare, it does exist. To report an accident or a crime, call 110 or locate the closest police box (Koban). To report a fire or ask for an ambulance or rescue services, contact the nearest fire station at 119. Emergency telephone numbers can be called from home phones, mobile phones, and public phones. When making an emergency call from a public phone, neither money nor a pre-paid telephone card is necessary. Pickpockets and thieves operate all over the world; be aware of your surroundings. If you are walking along the street, keep valuables on your other side. Thieves in cars and motorcycles have been known to grab purses and bags from pedestrians. Never accept drinks from strangers, and always keep yours with you in crowded bars. This is especially important to keep in mind in the nightlife districts of Tokyo, Roppongi, and Kabuki-cho. Avoid deserted areas, especially at night. Remember that possession or use of illegal drugs (including marijuana) are both serious crimes in Japan. Convictions for drug offenses result in lengthy sentences. During peak times, the subway can be very crowded. If you can’t avoid travel during these times, be aware of your bags at all times. In addition, there are women-only subway cars available to use (usually the last train car). If you’ve left your belongings on a train, ask a station attendant for help. It makes the search easier if you remember the destination of the train and the train car you were on. If you’ve left your belongings on a bus or taxi, contact (or have your hotel contact) a local service office of the bus company or the taxi company. Always keep your passports and other valuables in a locked room safe if available. Hotels are open to the public, and at large properties security may not be able to screen everyone entering. Always lock your room door. Don’t assume that once inside your hotel you’re automatically safe. Before you travel, it’s always a good idea to check the U.S. State Department’s website for any country-specific warnings. If a major disaster occurs in Tokyo, the Tokyo Metropolitan Government will establish the Tokyo Metropolitan Disaster Information Center for Foreign Residents to support foreign residents in Tokyo. The Information Center will collect all relevant information and provide it to local authorities for their disaster information service to non-Japanese residents in their community. The Information Center will also dispatch volunteer translators to such local information services, as well as medical institutions and emergency shelters for language support. The details will be provided to hotels and other places that tourists frequent. Japan is an earthquake-prone country. Be prepared and don’t panic when it happens! The Earthquake Early Warning or Kinkyu Jishin Sokuho is issued by the Japan Meteorological Agency immediately after it detects earthquakes with a seismic intensity of “5-lower” and over (on the Japan seismic scale). Ensure your safety as soon as you see or hear the warning on TV, radio, or loudspeakers. Details will follow in both Japanese and English. For any emergencies involving U.S. citizens, contact the U.S. Embassy Tokyo or one of the Consulates; check their website for the closest location. There has never been a better time to visit Tokyo. With preparations for the 2020 Olympics well under way, Tokyo is poised to continue being one of the best cities in the world for many years to come. Japan is not a country to be intimated by either — be polite, speak a little Japanese, and you’ll enjoy an astonishing city! I flew into Tokyo last October, and I did use my JR Pass for the Tokyo Monorail. There is no JR station at the Haneda airport, so unless you have previously picked up/exchanged your JR pass, there wouldn’t be a way to use this here. We are traveling to Japan in April. I was wondering if activities like tea session, sumo practice and onsen experience are ideal for us traveling with a toddler (15mons old). Also, we plan to see Mt fuji and Hakone shrine for a day, what do you suggest on how to get there the cheapest and easiest route. Ps: i love your blog! It’s really informative. Hi Moe, I’m so glad to hear that you found this post informative! April is a wonderful time to visit Japan. Onsen are absolutely family-friendly. I would, however, advise you to book time in a private room if possible as onsen are typically quiet places and a toddler may not be allowed in all public onsen. In addition, most tea ceremonies should also be welcoming of the entire family. Sumo practices are a little more difficult, as these have strict rules that typically don’t allow small children, however you can always contact (or have your hotel concierge contact) the specific place you would like to view a sumo practice to inquire about their policies. For a Mt. Fuji/Hakone trip, you should absolutely look into the Hakone Freepass. This provides transport from Tokyo as well as unlimited transportation in the Hakone area. This pass should make your day trip very enjoyable.